Fun fact: A forest is still a forest if it is legally declared as such, even if there is not a single tree in sight. Ever wondered how a forest can be different from the woods? Are these terms synonymous or is one a variation of the other? Read on to find out. Covers a wider land area. Covers a smaller land area. High tree population. Low tree population. A forest is a large piece of land heavily populated by trees. There are about 800 hundred definitions out there, taking into account factors such as tree populations, tree heights, and ecological function, just to name a few. The Food and Agriculture Organization defines forests as having covered almost 31 percent of our planet’s land area in 2015 – that’s about 15.5 million square miles or roughly 4 billion hectares. Forests are the largest land ecosystem of the planet and are found all over the world. They are the largest contributors of the planet’s biosphere. Forests also contain 80 percent of the world’s plant biomass. There are different kinds of forests, and depending on the location, forests are grouped into boreal forests (near the poles), tropical forests (near the equator), and temperate forests (mid-latitude). Humans and forests affect each other both positively and negatively. Forests are ecosystems critical to human population, as trees and plants convert carbon dioxide to biomass and breathable air, regulate the climate, purify water, and even shield against strong winds and floods. 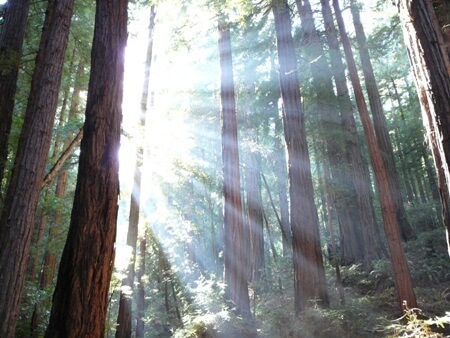 According to some researchers, forests can cause negative effects too. Protected forests can be expensive to maintain and may reduce the fertility of the land. Forests are also known to be sources of many diseases that can affect humans and livestock. Woods, commonly referred to as woodlands, are forests with a lower density of trees. This low tree population allows the formation of open habitats that enjoy limited shade and plenty of sunlight. These conditions promote the growth of shrubs, plants without a wood stem. Drier conditions can transform woodlands into shrublands. The British woodland management system classifies woodlands as tree-covered lands that came up naturally and are now run and managed. The term woodlot is more of an American term which refers to trees usually used as firewood. 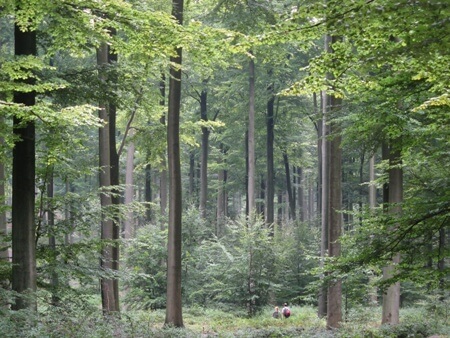 While woodland is a “small” forest, the biggest difference between a forest and woodland lies in the density of trees found in each and the size of the area they cover. A forest covers a big land area with a high population of trees, while woodland has a much lower concentration of trees and a smaller land area. A forest can also be defined by the mass of entwined branches, twigs, and leaves of mature trees (i.e., canopy). Forests have higher levels of canopy cover compared to woodlands. A forest has an understory of shrubs, bushes, and younger trees well adapted to living under the shades of the canopy, while woodland may have grasses, shrubs, and plants inhabiting its understory.